We’re thrilled to welcome our first guest writer to Pressing Matters, John Szabo, MS. His excellent book, Volcanic Wines: Salt, Grit and Power, recently won the André Simon Book Award in the drinks category. This is part one of his two-part introduction to volcanic wines. You’ve heard of organic wine, and maybe even of biodynamic wine or ‘natural’ wine. But volcanic wine? 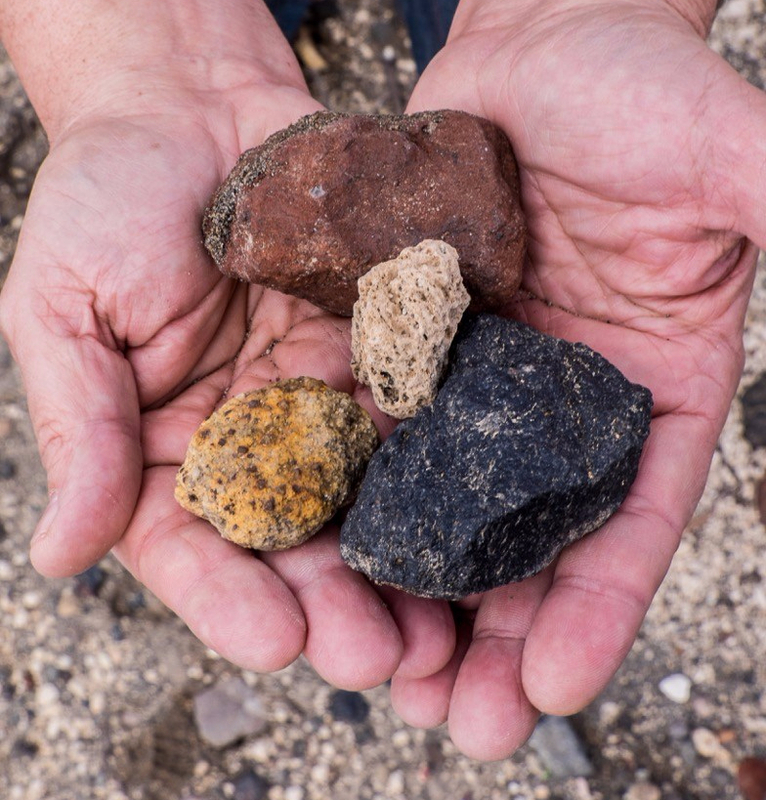 With the wine industry evermore preoccupied with uniqueness, there’s a new, but very ancient fascination: wines grown on or near volcanoes, or more properly, on soils derived from parent volcanic material. Although volcanic soils account for only about 1% of the world’s land surface, grapes occupy a disproportionate share. That’s because these soils in general, despite wide variation even within the category, have many useful properties that make them especially suited for high quality wine. So What’s The Secret to Quality? 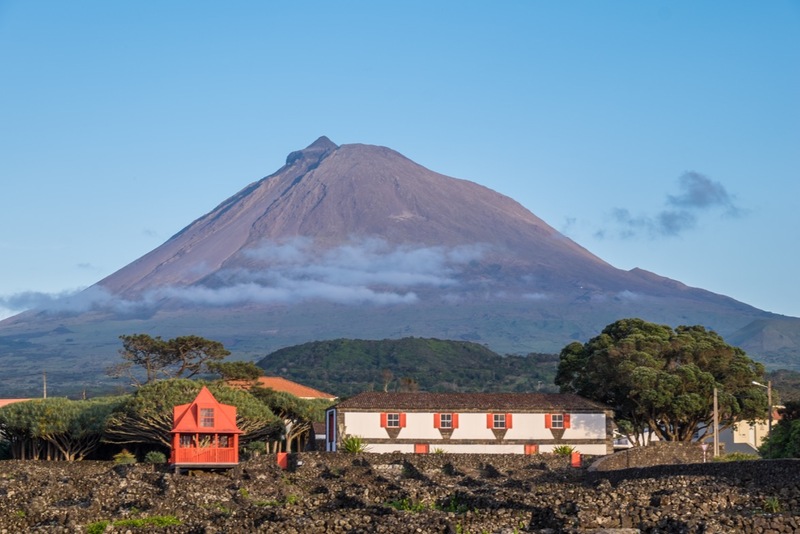 For one, young volcanic “soils” formed on recent lavas are often more rock than soil – they haven’t had time to weather into water-retentive clays – and thus hold little moisture. It’s well established that less water favours higher grape quality. Volcanic ash and sand likewise drain readily, and by the nature of where they form, volcanic soils are often on hillsides where water runs off. The diversity of volcanic rocks on Santorini. Secondly, despite their reputation, the best volcanic soils for wine growing are infertile. Although lavas contain generous amounts of nutrients (and a wider range of minerals than most other rock types), they’re not readily available. That’s because these elements must first be weathered into available form, and then be dissolved in water to be taken up by roots. But water, as we’ve just learned, is not often available, and minimally weathered soils/rocks release precious few nutrients. Thus vines get a broad diet, but in small quantities (low fertility but without particular deficiencies), which triggers them to focus on ripening fruit rather than growing shoots and leaves. Semi-parched, semi-starved vines produce less fruit, smaller bunches, thicker grape skins (where most aromas and flavours are stored), and result in more concentrated, structured, age worthy and complex wines. Styles vary given the range of grape varieties and climates, and the precise makeup of soils, not to mention variable winemaking approaches. But there are some recurring features: a mouth-watering quality, more savoury than fruity flavours, and a density that can only come from genuine extract. 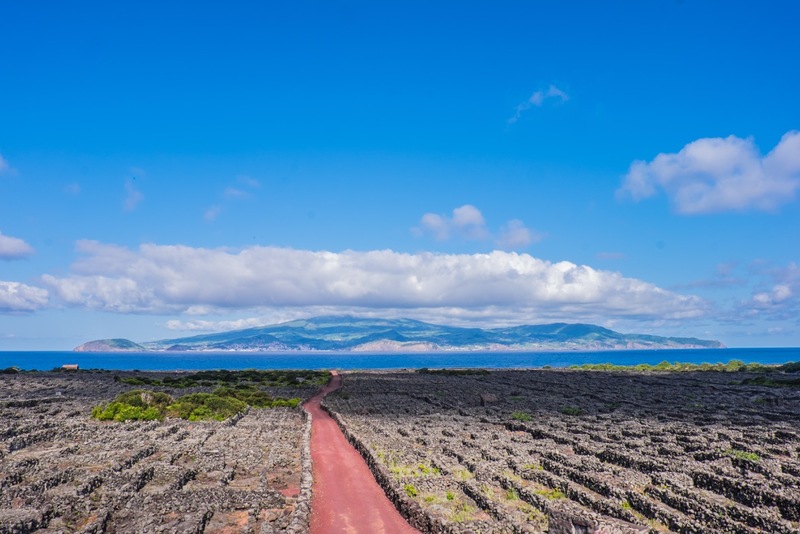 Volcanic wines can be gritty, salty, powerful, maybe even unpleasant to some, but distinctive. “Mineral” is also a term frequently applied to volcanic wines (though by no means exclusively), a term that raises some eyebrows. Geologists will tell you than minerals have no taste or flavour (with the notable exception of sulphur compounds), and that whatever sensation being described as mineral is really caused by odorous organic compounds. This is undoubtedly true. But aside from the metaphoric use of the term (which I’m comfortable with), I’d like to propose a tighter definition, more scientifically verifiable. Pico vineyards in the Lajido de Criança Velha UNESCO zone. In my world, minerality is a texture, gently astringent, and more importantly, a taste sensation, not an aroma or flavor. More specifically it’s a salty taste sensation. I speculate, but the palpable salty taste of certain wines leads me to the hypothesis that there are measureable quantities of various mineral salts in wine. Sometimes it’s just garden-variety sodium chloride from seaside vineyards (well established scientifically). But salty wines from inland vineyards lead to the tempting possibility of other types of salts present in wines, i.e. potassium, calcium, and magnesium salts, and other possibilities. Furthermore, certain acids have a salty taste (they’re called acid salts), in addition to the tingling sensation they cause, and wines contain several types of acids. While salt compounds usually precipitate out of solution during winemaking (like potassium bitartrate or cream of tartar), some wines are just too salty to not contain some residual. But to be clear, I don’t know of anyone who has measured this, or even if it’s chemically possible. Related to minerality and other sensations in wine not linked exclusively to climate, grape variety and winemaking technique, a few other areas of investigation I’d like to propose include the electrical conductivity of wine (salty water is a good conductor of electricity, so perhaps “mineral” wines may be super conductors). And even further out there, magnetic resonance (volcanic rocks have higher values compared to many other types of rock). If all this seems to complex to contemplate, just keep using the term mineral in a metaphoric sense and nobody can argue with you.